Alternet Systems (ALYI), U.S battery, e-motorcycle and military applications manufacturer, has just announced a prospective order for two thousand of its ReVolt Electric Motorcycles which would total $20 million in sales. The Denver-based company is looking to open an assembly plant in Kenya, to complete manufacturing in Africa for ReVolt Electric Motorcycles to be sold across the continent. ALYI apparently plans to use the prospective factory in Kenya to complete manufacturing ReVolt Electric Motorcycles to be sold throughout Africa. ALYI already previously announced $1.5 million in confirmed orders for its ReVolt Electric Motorcycles to be delivered in Kenya. For the new prospective order, the company has released no details about either the recipient of the motorcycles, nor have they named any details of the location of the prospective assembly plant in Kenya. The ALYI press statement indicated that during the prospective search for an assembly plant would be coupled with additional “potential partners expected to further advance ALYI’s electric vehicle interests in Africa beyond the company’s ReVolt e-motorcycles. The relatively new ALYI subsidiary, ReVolt Electric Motorcycles, has already started with the production of its retro-classic-design electric motorcycles for the U.S. market and will later introduce a utility daily driver for everyday transportation in developing economic regions. 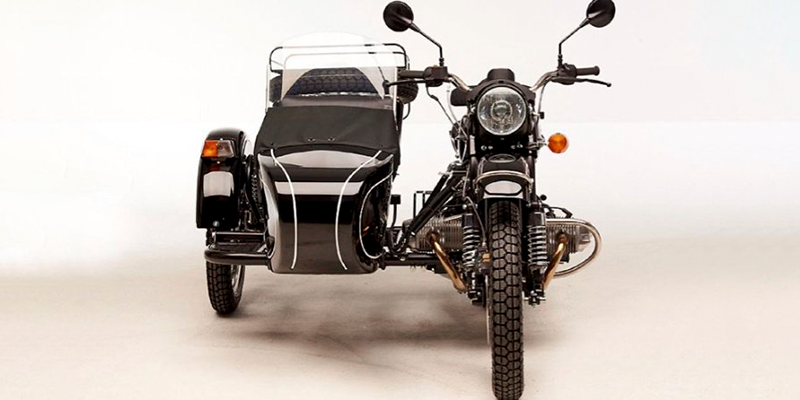 ReVolt has partnered with an (unnamed) manufacturing company to first produce a motorcycle based on the 1930’s BMW R71 motorcycle with sidecar utilised by the German Army in WWII and additionally famous for featuring in a Steve McQueen movie. The electric motorbike with a sidecar will use an electric motor with an Alternet Systems lithium battery solution. Recently, ALYI revealed that, in addition to its electric motorcycles, it will be producing electric bicycles with the plan of partnering with shared-dwelling organisations “around the world” for e-bicycle fleets for shared use. In March the company said it was already in discussions with universities that provide student housing, but did not state where exactly. They justified their investment in electric bicycle markets by citing projected growth of the light electric vehicle segment, stating that the electric bicycle market is expected to reach over 24 billion U.S. dollars worldwide by 2025. Apart from being major suppliers to the U.S. military and to military elsewhere, as well as being established players in lithium battery solutions, the company is not only looking at light electric vehicles but also hemp energy storage solutions. ALYI recently began an initiative to attempt to construct carbon nanosheets that compete with the supercapacitor performance achieved by more typical graphene nanosheets. This ongoing hemp energy storage research and development leads the company’s current efforts to introduce an alternative to lithium batteries. Although they see lithium as being arguably central to the most currently viable energy storage solutions, they anticipate the need to look at other long-term best solutions. Hi- does anyone know if alyi is really going to sell any significant number if e vehicles? It’s constant hype with no substance.